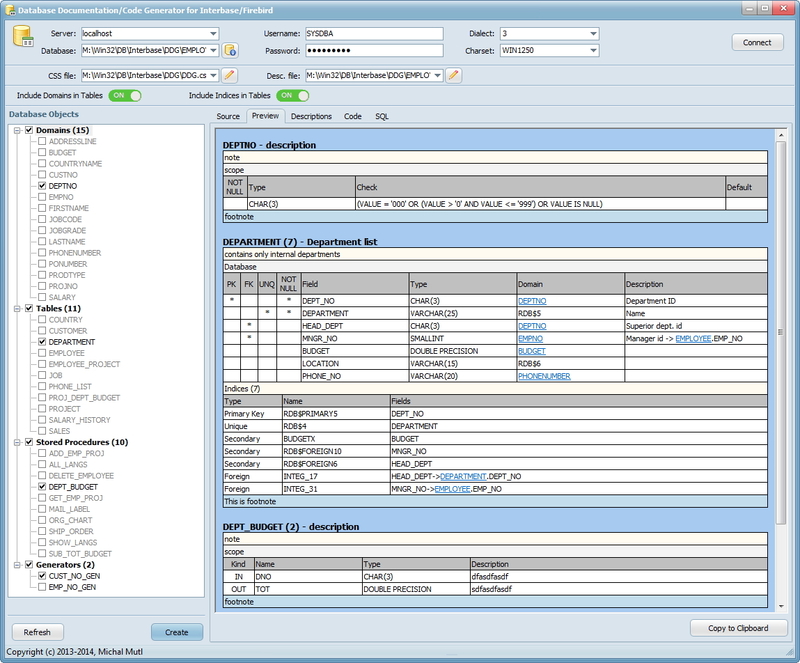 A must-have tool for every Interbase/Firebird or MS SQL administrator or developer. 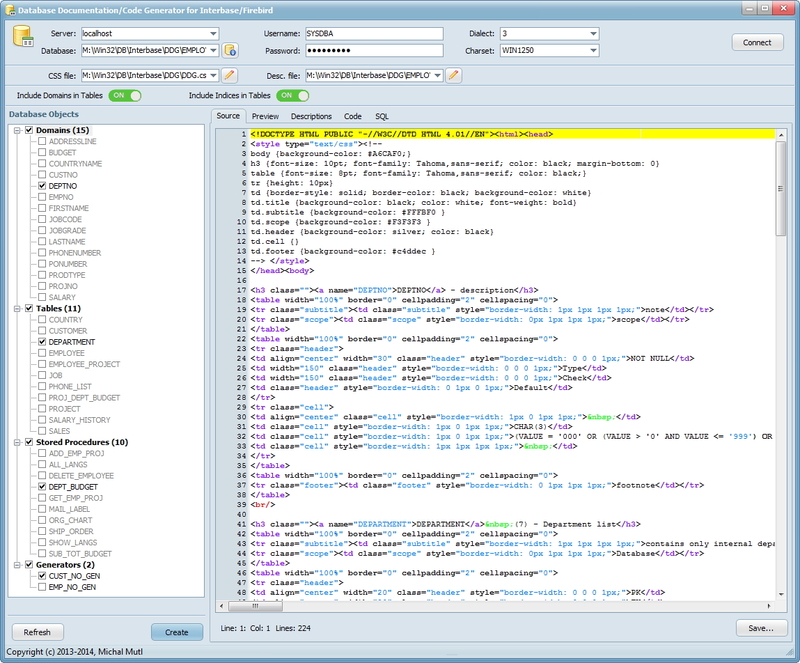 DDG allows you to create fulltext HTML documentation of any Interbase 6+/Firebird 1.5+ or MS SQL database which can be pasted into any document (PDF, Word etc). HTML is based on customizable CSS, so you can make any layout you want. 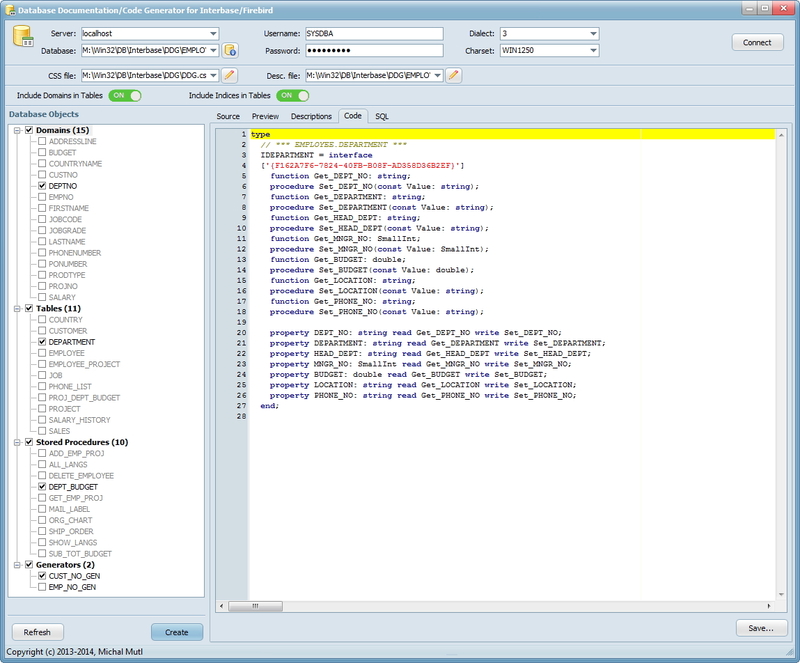 It retrieves any descriptions directly from database objects (tables, fields, stored procedures etc) if they are available. 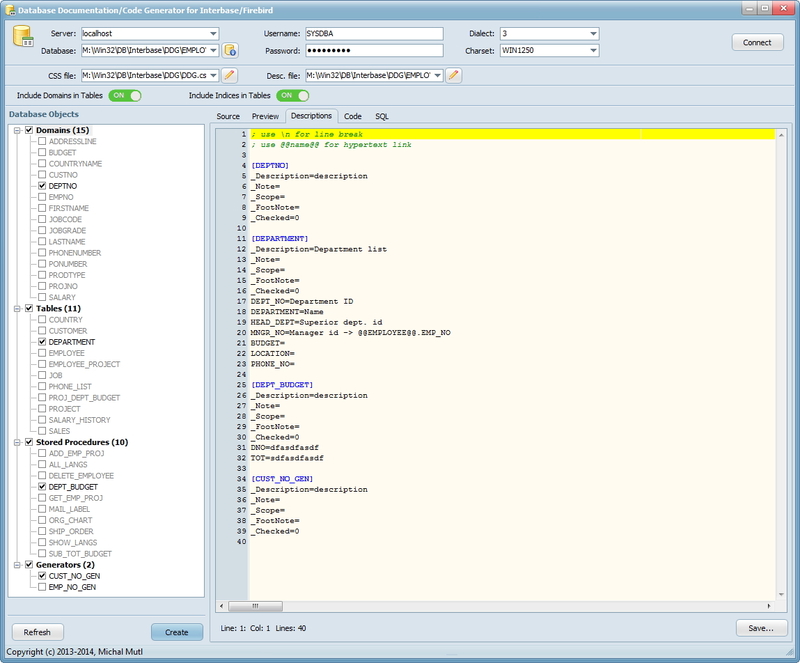 You can create your own description file, which can be used as source for object descriptions. 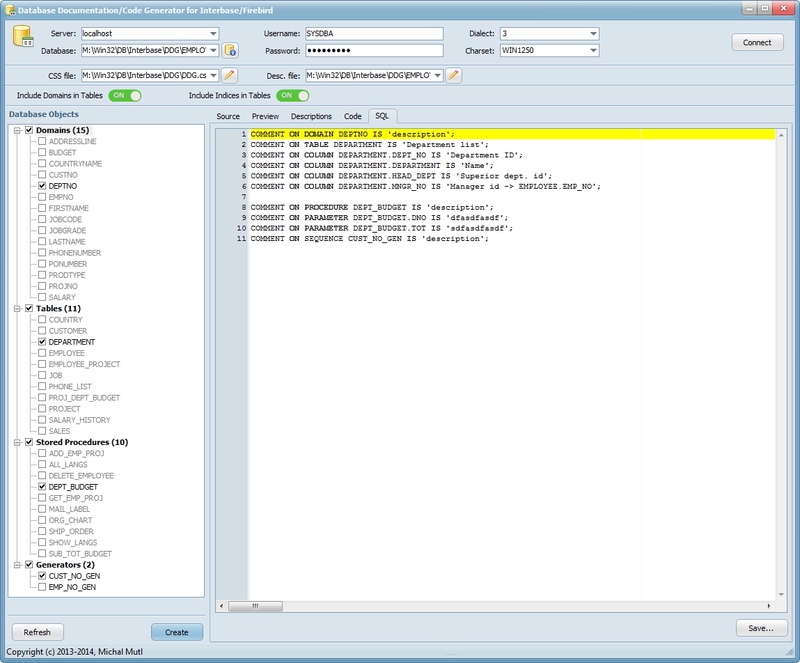 In addition it creates SQL statements with descriptions, so you can easily update any database with full object descriptions. And Pascal source code for accessing tables via interfaces is generated as bonus.